Since 1928 the Callanan family has been providing the highest level of veterinary care for dogs, cats, and small animals. You can feel confident that the management team at every facility has a thorough understanding of wellness/preventative care as well as common and serious diseases. We are well-versed in every type of dog and cat breed and the health concerns, stressors and other factors that may impact your pet. We place great importance on the qualifications, training and temperment of our doctors, technicians and support staff in order to create teams of caring and dedicated professionals. You are a key component of your pet’s team – a strong doctor-patient/client relationship helps us construct a health plan that works best for your pal. We want to know about your pet’s habits, routine and temperment so we can provide the best care as well as give you strategies and techniques that are realistic for your lifestyle and schedule. Although wellness care is most effective if it’s been part of your routine since you pal was a puppy or kitten, it’s never too late to start. There are small yet effective ways to keep your pet healthy and we will share these tips so you can take a proactive approach to your pet’s well-being. Our surgical teams utilize the latest equipment and technology to efficiently perform routine or more complicated operations. Our doctors and techs consistently achieve successful outcomes with close collaboration before, during and after all procedures. The experience and knowledge of our team members are augmented with modern diagnostic and digital radiology equipment that produce fast and accurate results. We can quickly confirm diagnosis and start treatments right away to get your pal on the road to a speedy recovery. All of our facilities have on-site pharmacies with extensive inventories of veterinary devices, supplies and medications. This provides the ability to quickly and conveniently treat common medical conditions and more serious illnesses such as arthritis, diabetes, and heart conditions. A clean and healthy mouth is one of the best ways to keep your pet happy and healthy. Regular veterinary dental cleanings for both dogs and cats reduce the risk of many common and serious medical conditions. In addition, at home dental care will contribute greatly to your pet’s overall health. A prescription diet could help you accelerate recovery or stabilize your pet to better manage a chronic illnesses, such as kidney disease, bladder stones, arthritis, heart disease or diabetes. Our doctors will help you understand the nature of the illness and how certain diets may benefit your pet. Please plan to arrive 10 to 15 minutes early to fill out or update client paperwork and have us make copies of medical history and other documents, as needed. Please bring a stool sample in a plastic bag. Upon arrival, all dogs should be leashed and cats should be in carriers. We operate primarily by appointment, to ensure plenty of time for all patients and surgical procedures. However, emergencies will always receive priority, which may result in occasional delays. Please understand that our patient’s health and well-being are our first concern and that we will always make a sincere attempt to see patients on time. Payment is due when services are rendered. Before a patient is admitted, an estimate of services and fees will be submitted to the owner for approval. We’re happy to discuss your pet’s condition and the boarding options that would work best for them, so please call your preferred facility at your earliest convenience. 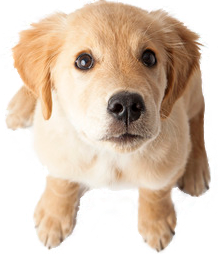 If you or our veterinarians suspect that your pet has a contagious disease, we will need to isolate your pet immediately for their safety as well as the safety of our other patients.